辵 is a very special Chinese character. Its original usage no longer exists, while it is now a commonly used radical when forming other Chinese characters. Oracle Script consists of (cross junction of a big road) and (foot). It means "walking on the road". Seal Script simplified it with ( one side of a cross junction) and (foot). Clerical Script and Regular Script further simplified them to our current way of writing and becomes a common radical. 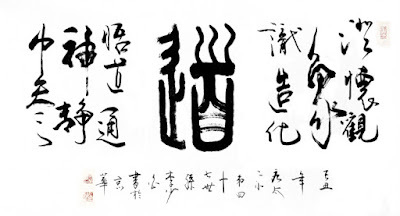 By adding to a Chinese character, that character will then contains the meaning of "walking". We will see such a Chinese character "迁" in our next lesson. 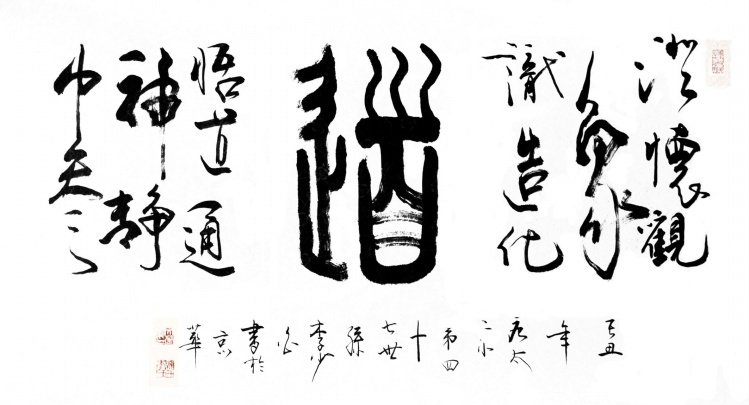 Before that, it is time to enjoy a Chinese Calligraphy.